Hand bound with hardboard covers, signed and numbered in an edition of 50. "This is not a love story. 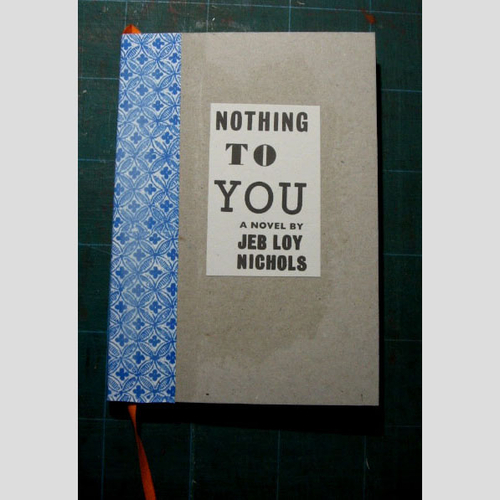 With this haunting, modernist account of lives struck by loss and threatened by love, Jeb Loy Nichols emerges as a singular voice."